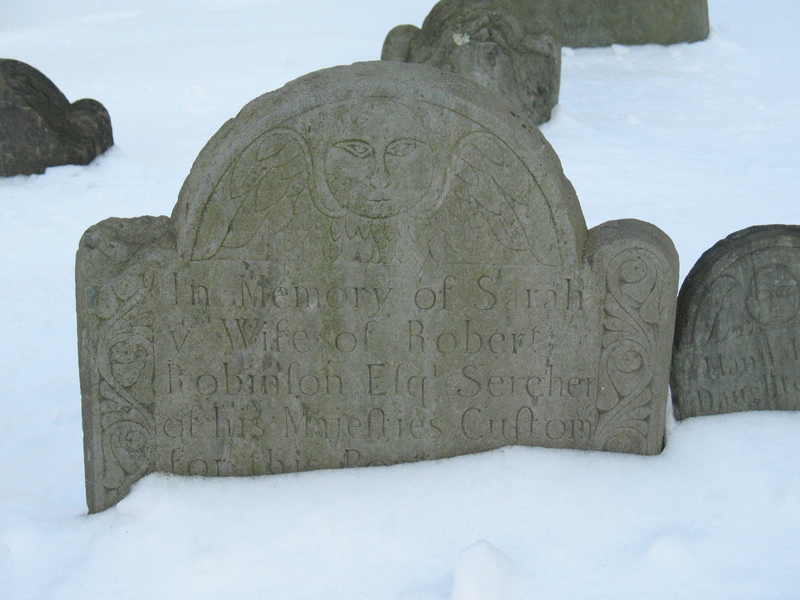 Yesterday I posted about my visit to Jewish cemeteries in Rhode Island — and I included a photo of the tombstone of a woman (Rebecca Polock) who died in 1764, aged 65. It bears the image of a winged head — very similar to the images found in Christian tombstones on New England from the Colonial period, of men and women alike. (These are usually described as “soul effigies” that symbolized the soul in spiritual transition from death toward “new life” in the afterworld.) The image seems to have developed from the death symbol of the winged skull as well as from depictions of the winged heads of cherubim. 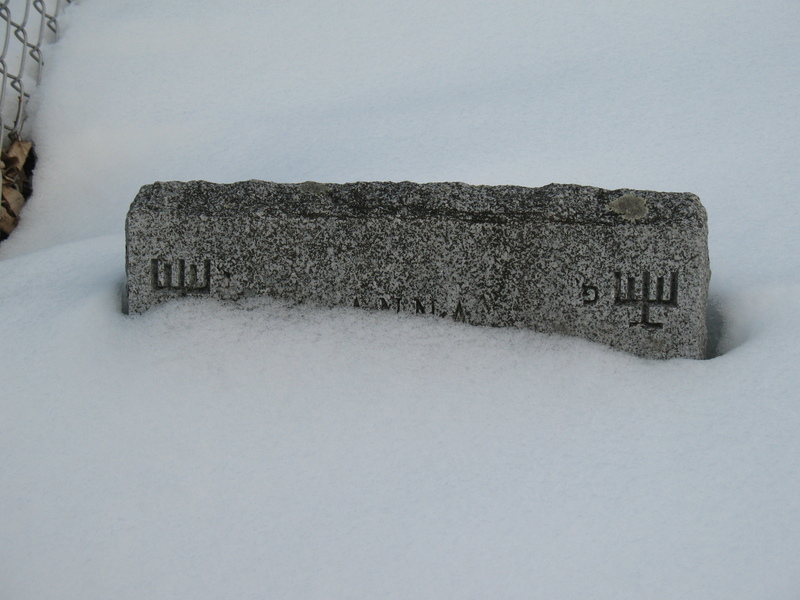 One of the few Jewish tombstones I have seen with this image on it is this one in the Jewish cemetery in Nova Gorica, Slovenia (Gorizia, Italy). It appears to be that of a man named (I think) Avraham Rosati. Only the candlesticks are visible above the snow. Newport, RI. 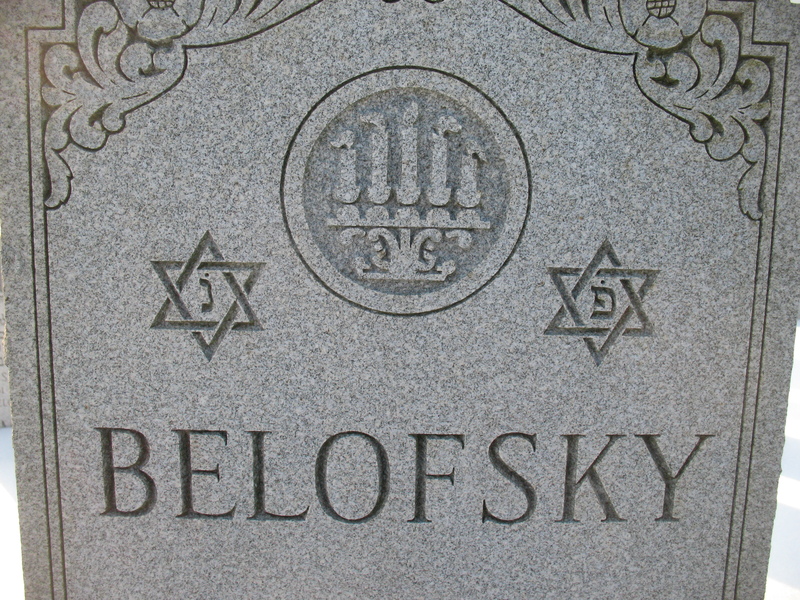 Over the weekend, I visited friends in Rhode Island who took me to look at several Jewish cemeteries. I was interested in seeing whether, and if so how, the iconography of candlesticks marking the graves of women was found in America as well as eastern and central Europe. 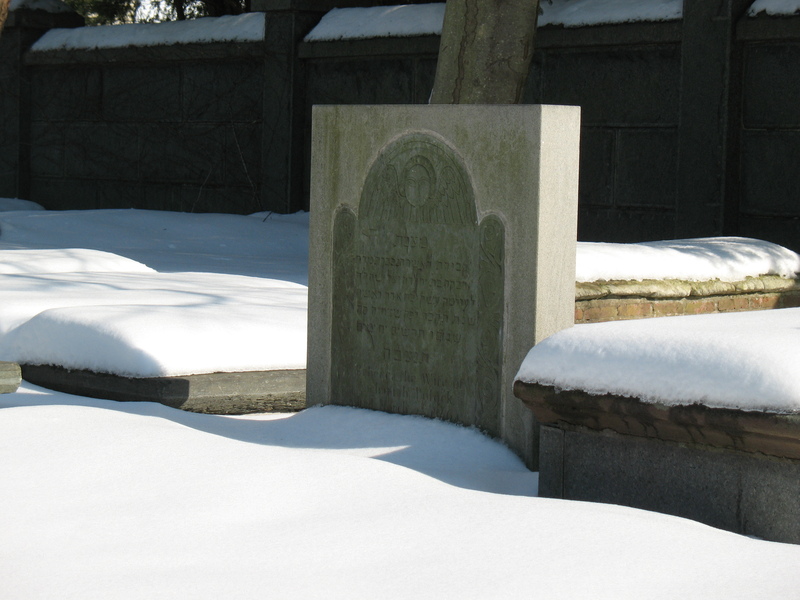 I had wanted to visit the old Jewish cemetery in Newport, near the historic Touro Synagogue (the oldest synagogue in the United States), but this was closed — and in any case, the stones were mostly covered by the thick layer of snow that still lies on the ground after many heavy snowfalls over the past few weeks. 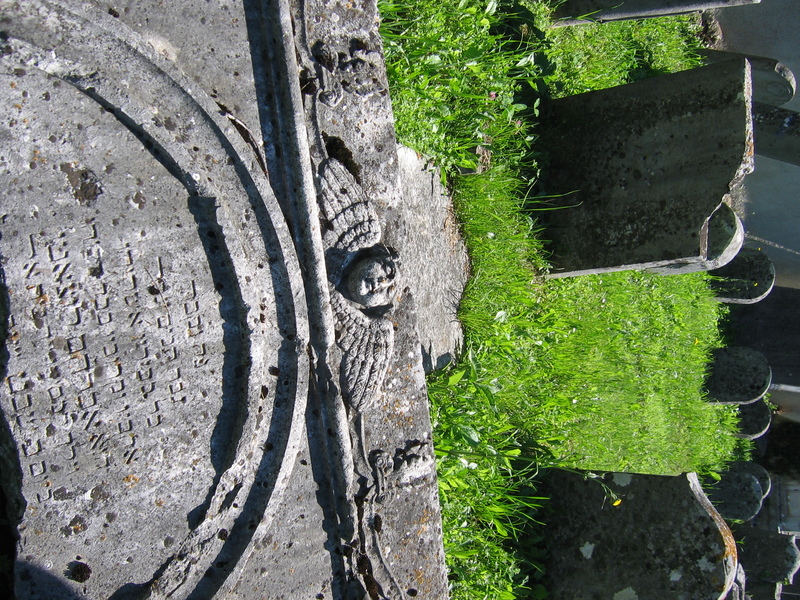 I was able only to photograph, at a distance, one stone — which bears carved decoration very similar to that found on the famous Colonial period Christian tombstones — an angel head with wings — over a Hebrew epitaph. 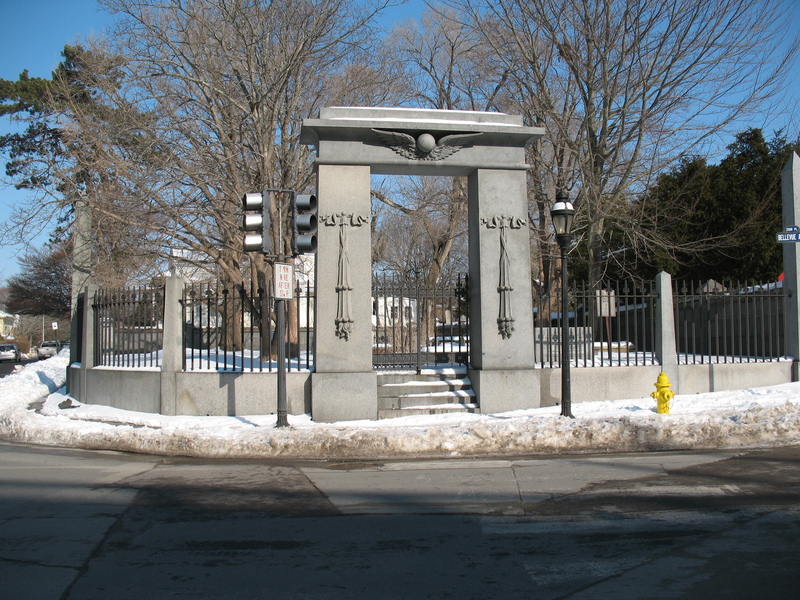 Gate to Old Jewish Cemetery, Newport. 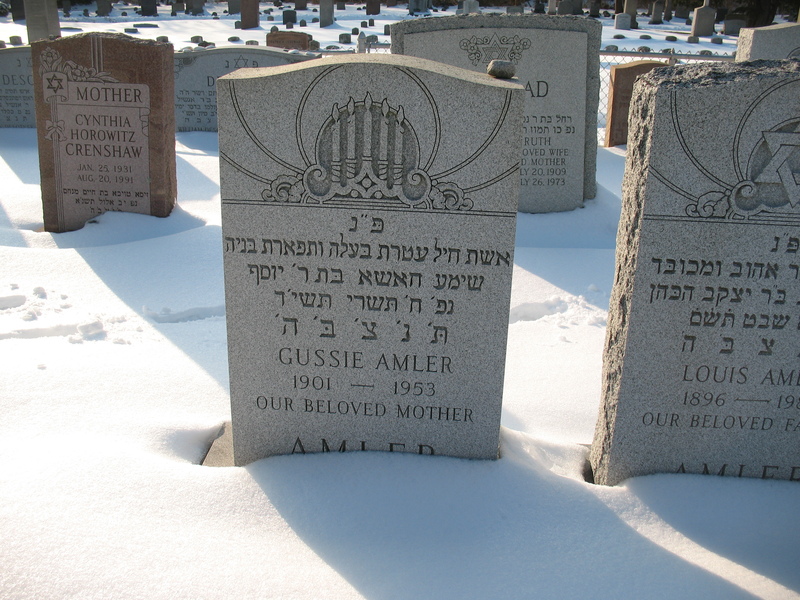 There is another, much later, Jewish cemetery in Newport, though, occupying three fenced-off sections in a big municipal cemetery on aptly named “Farewell Street,” and here I found quite a few women’s gravestones bearing the decorative element of candlesticks. The carving was mostly quite simple and rather standardized, though some were slightly more elaborate. One of the more elaborate tombs. One tombstone was notable for the way the candles were depicted as flickering, or seeming to be on the verge of flickering out — you find a variation of this motif in Eastern Europe, but with the flames pointing to the center of the candelabra, not to the outside. Also interesting (at least to me!) 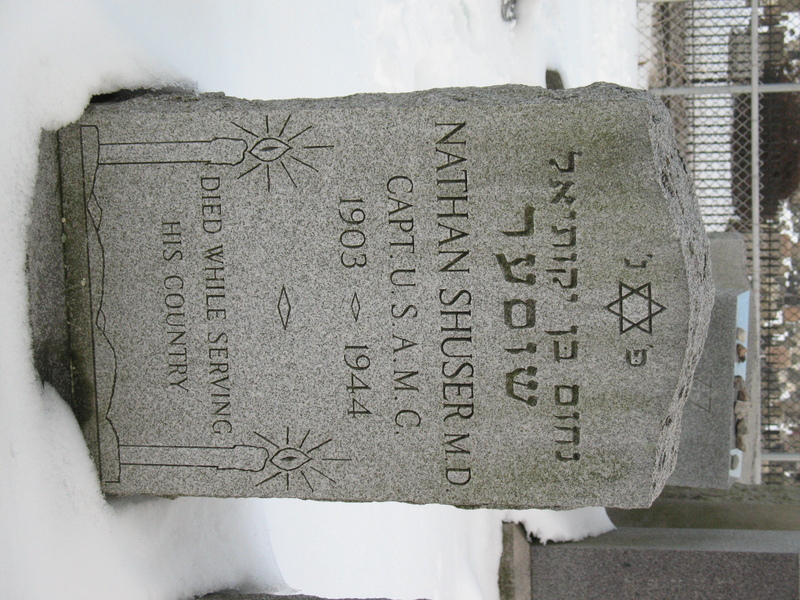 were the couple of tombstone of MEN that employed the candlestick imagery — like the one below, of a Nathan Shuser, a Jewish medical officer killed in World War II. 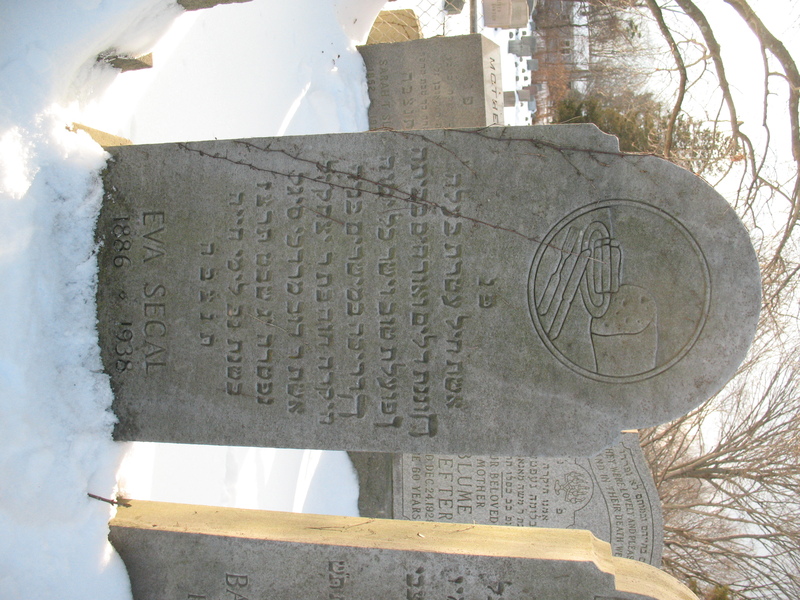 The most fascinating tombstone to me, however, was the gravestone of Eva (or Hava) Segal, wife of Dov Mordechai Segal, which did NOT bear the candlestick imagery. In fact, it bore a carved motif that I had never seen before — a loaf of bread, with slices cut from it on a plate, and a neatly aligned knife and fork. No candlesticks in sight. To me, the image could symbolize one of several things. As I have noted elsewhere, one of the reasons that candlesticks are used to represent women appears to be the fact that lighting the Sabbath candles is the only one of the three “women’s commandments” that lends itself to easy visual representation — in addition to lighting candles and taking Challah, the third commandment is Niddah, or observing the laws of menstrual purity. Since I am at Brandeis now, I’ve decided to start with this poem by Henry Wadsworth Longfellow, about the Jewish Cemetery in fairly nearby Newport, Rhode Island — it was published in 1858. This means it was published around the same time or even well before most of the tombstones in Europe I’ve been studying were carved and erected…. At rest in all this moving up and down! The long, mysterious Exodus of Death. And broken by Moses at the mountain’s base. 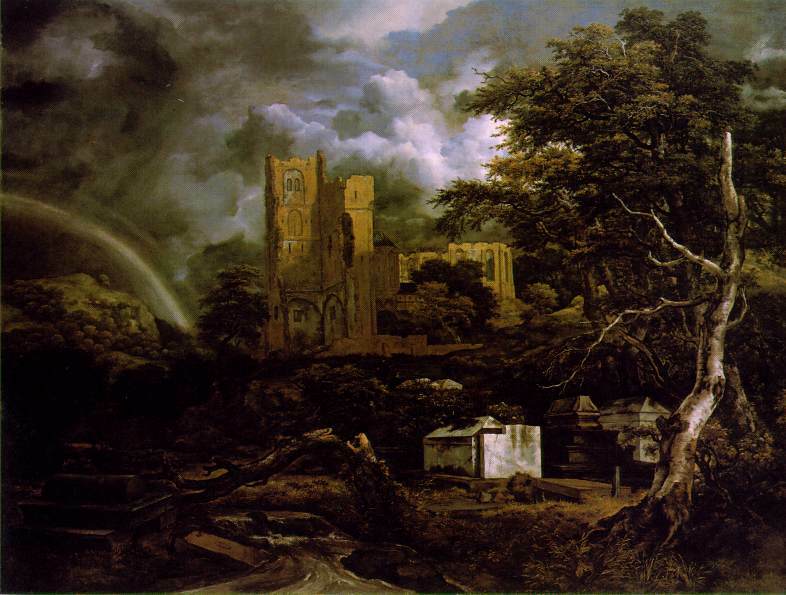 With Abraham and Jacob of old times. In the grand dialect the Prophets spake. Still keeps their graves and their remembrance green. These Ishmaels and Hagars of mankind? The life of anguish and the death of fire. And slaked its thirst with marah of their tears. Was mocked and jeered, and spurned by Christian feet. And yet unshaken as the continent. They saw reflected in the coming time. Till life became a Legend of the Dead. But ah! what once has been shall be no more! And the dead nations never rise again.